>yea, I like brown too. I like many colors, but i still have my 2 faves… green and orange..great shot! Your eye is gorgeous! >How did you do this?!?!!? 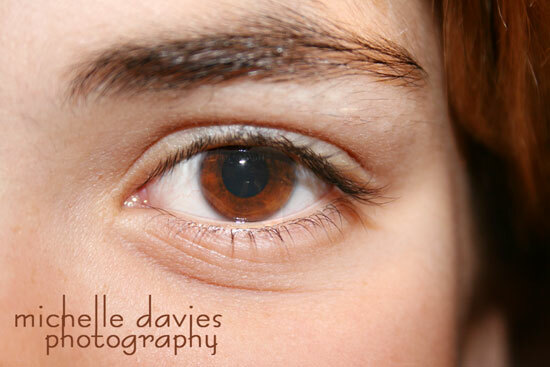 i love this shot…you have beautiful eyes so it really works for you! >Beautiful color eyes. I’ve always loved brown eyes… Shoulda married someone darker. Dh has green eyes like me. That means no brown eyed babies! Ha!Love this shot. The crop is perfect. >Oh, this is creative. Love how you listed things you liked that are brown. Again, just love your blog and your banner makes me smile everytime I see it!! >Love your comp and color, great pic. >Great eye shot! Very nice. >This is an awesome shot! WOW!